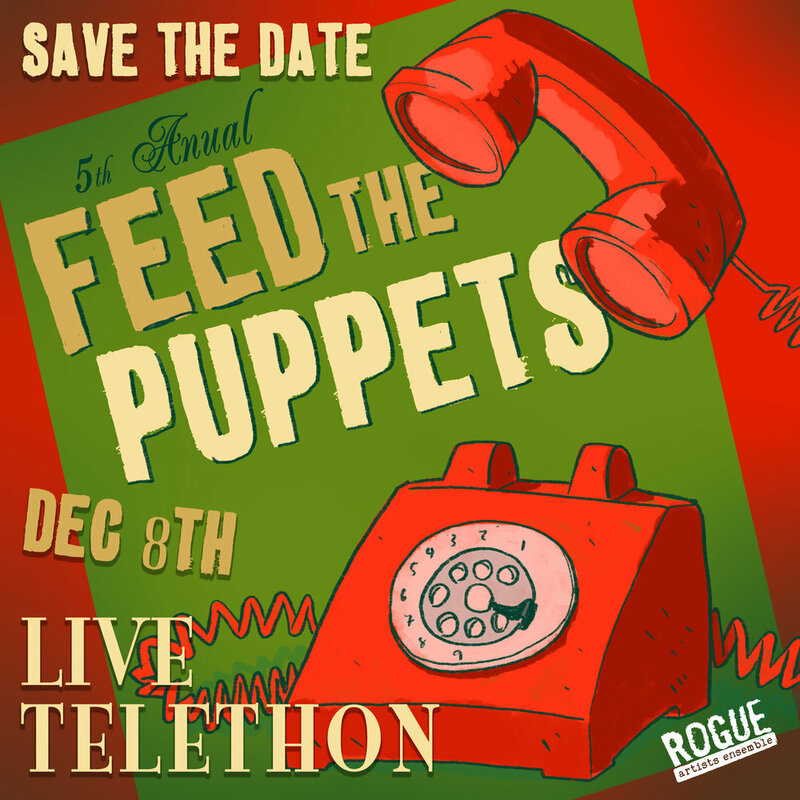 Fifth Annual Feed the Puppets Telethon & Tamale Party! Rogue Artists Ensemble's 5th annual holiday retro throwback takes you on a special journey through our warped and rakish Rogue Christmas memories. Old Eugenio Plummer needs help decorating his Christmas tree, but everyone at Rogue Artists Ensemble is far too busy hosting a LIVE Puppet Telethon to help him. Saddened and drained of his Christmas spirit, old Eugenio goes to sleep - and his three younger selves spring forth to remind the Rogues what the holidays are really all about. The evening features special cabaret performances, original songs, kooky characters, and open phone lines answered by hungry puppets! Watch LIVE on Facebook or join us IN PERSON to see the show and partake in a LIVE tamale party and Rogue holiday market. We had our most ambitious season to date, with the comeback of Wood Boy Dog Fish, the premiere of Señor Plummer’s Final Fiesta, the launch of our first Rogue Lab writers’ group, and so much more. Help us make 2019 & beyond possible by giving today. Give a one time donation OR commit to at least $10 a month to become a RADIANT ROGUE!